In 1919, Finland imposed an alcohol prohibition act. Many brave, clever and adventurous men, however, knew how to turn the situation around in their favor and make a hefty buck by bootlegging alcohol. 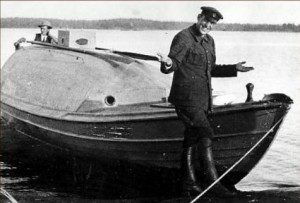 Boats heading for Finland were loaded up with bootleg alcohol near the Estonian shore. 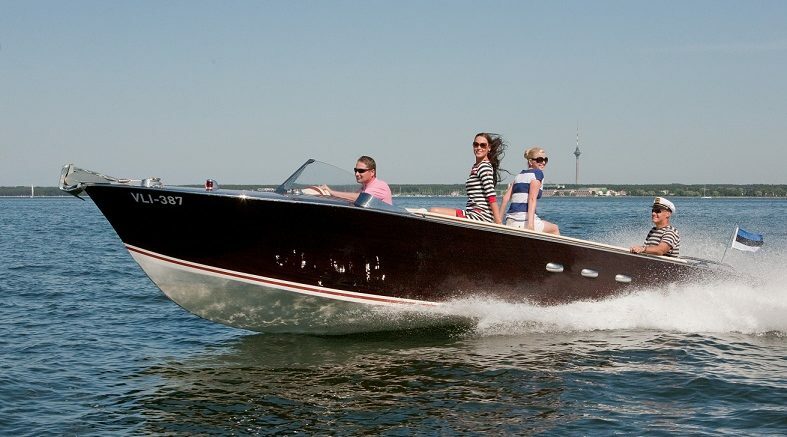 Maybe that’s why it was in Estonia where decades later Britamarine’s speedboats were first manufactured. Our goal is to produce incredible masterpieces that can be enjoyed safely and comfortably for decades. And by doing so we reinvent something special that has a great value for its owners. 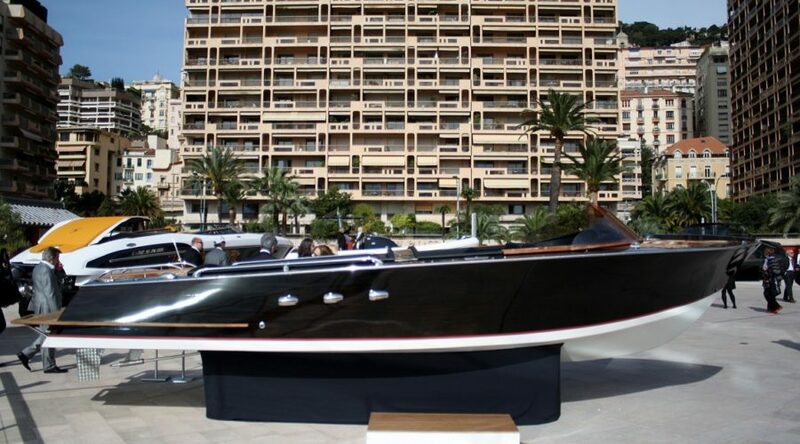 Having a common dream of what a true head-turner should be, we constantly seek the best solutions the world can offer and settle for no less than the best. 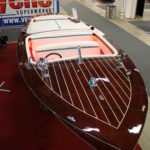 Our workers all share the passion for high quality mahogany speedboats and are very proud of what we do and who we are. 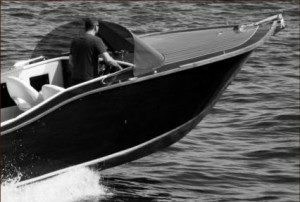 Our luxurious sportboats are crafted by hand from the finest wood. 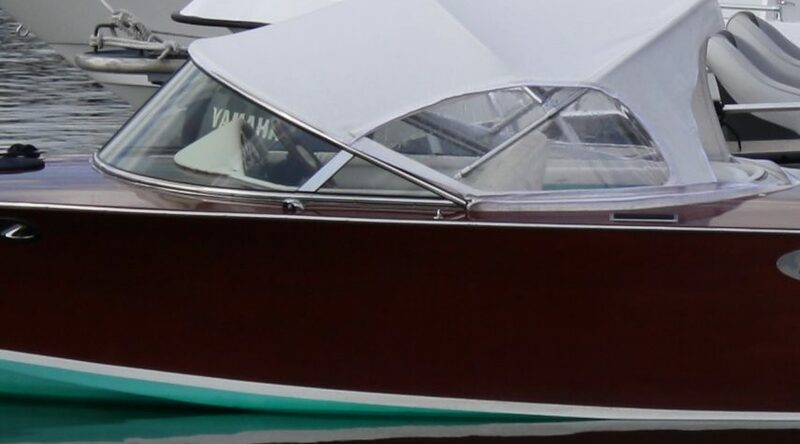 All components, from visible mahogany surfaces and stainless steel screws to modern marine electronics, are carefully selected for ultimate comfort and durability. 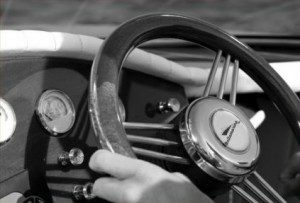 In order to guarantee luxurious satisfaction, an individual approach is often needed. Therefore, we will always try to accommodate Your personal wishes. It is important that You feel like you have received the best possible solution. 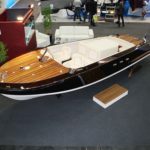 Classic Britamarine R20 mahogany boat is designed for coastal and flatwater cruising in high speed and extreme comfort. 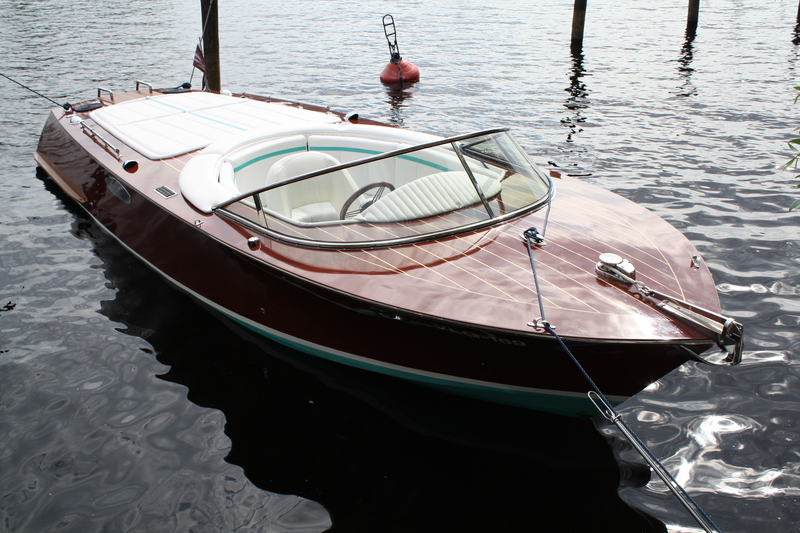 The mahogany boat will be delight to see on summer afternoons and will be the headturner wherever you go. 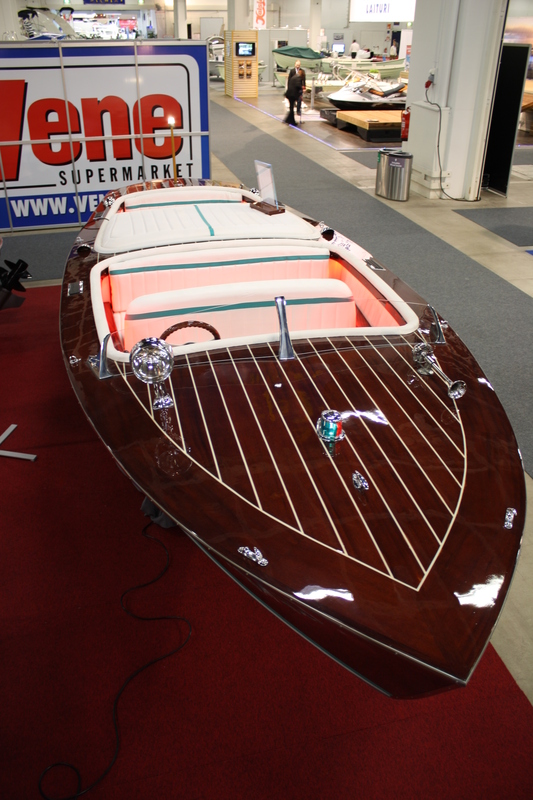 Classic lines feature beauties from the past. 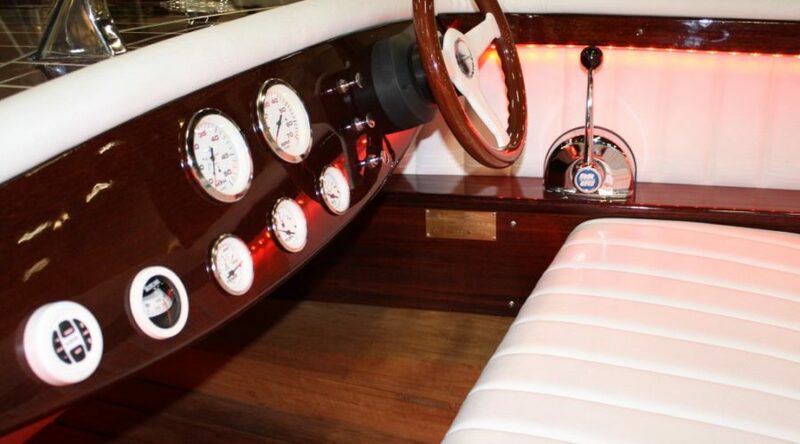 The R20 is easily handled and is joy to drive even for those who have not big experience with mahogany boats although powered with mighty V8 petrol engine. 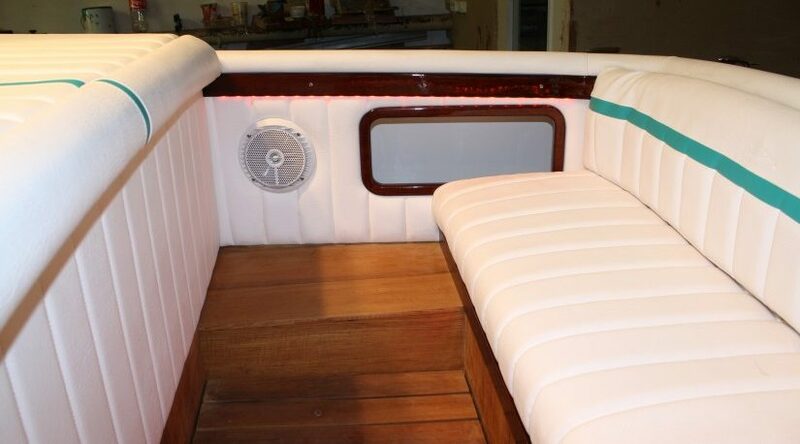 The cocpit offer safe and comfortable seating for eight passengers. Britamarine R20 is easily trailerable. 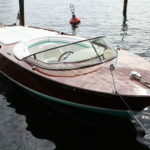 Mahogany-epoxy-Kevlar handmade wooden hull – no extra maintenance required. 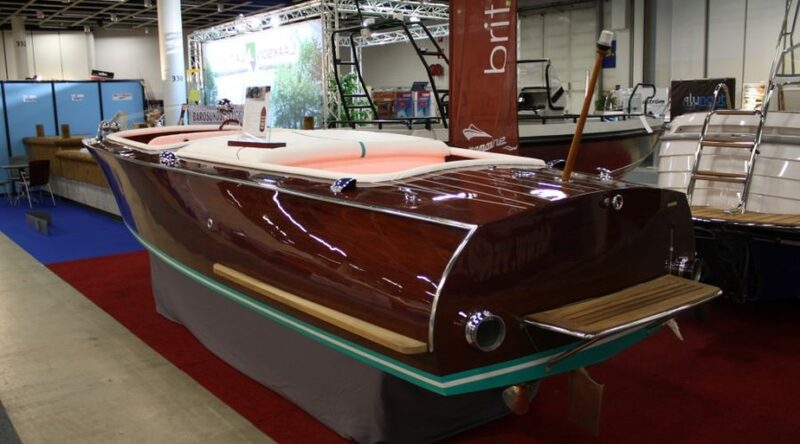 10 layers of epoxy + 10 layers of 2 component ployurethan varnish with high gloss finish. 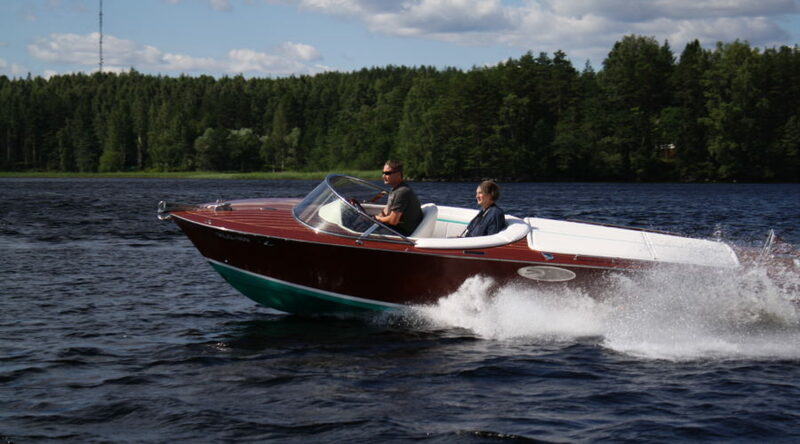 The Britamarine R24 is made in two configurations: open cocpit and sportboat. 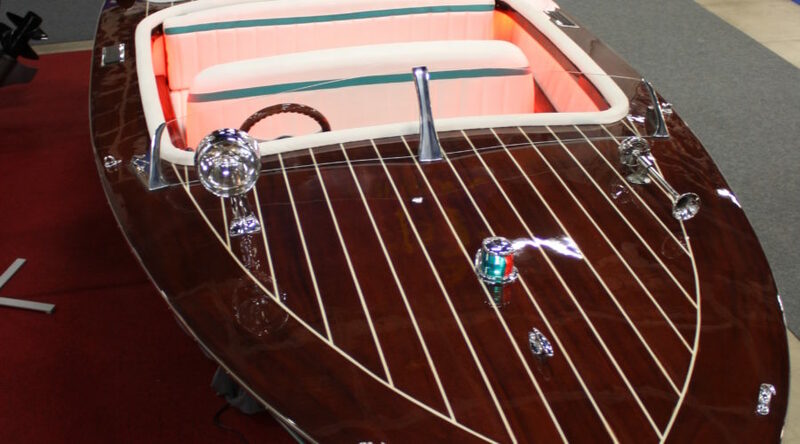 Open cocpit is virtually walkaround boat, having a lot of space around center engine. 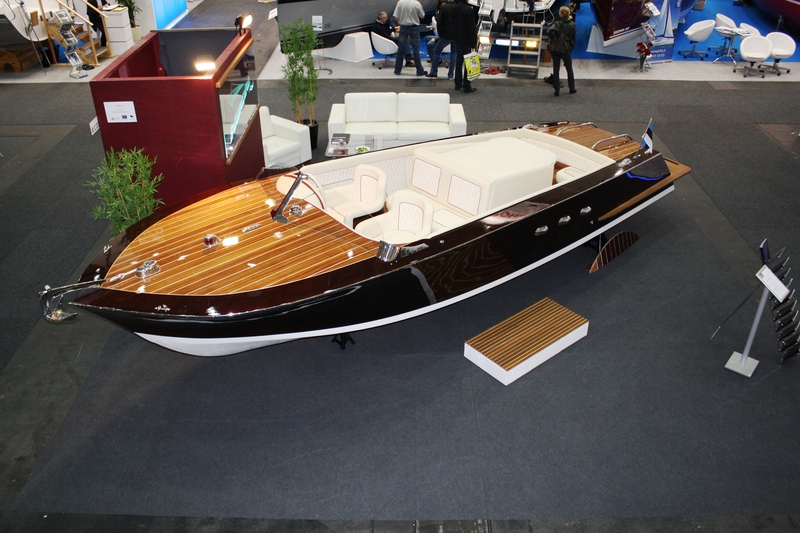 Sportboat is a forward cocpit with convertible fully weatherproof softtop and sunbathing area on the engine room. 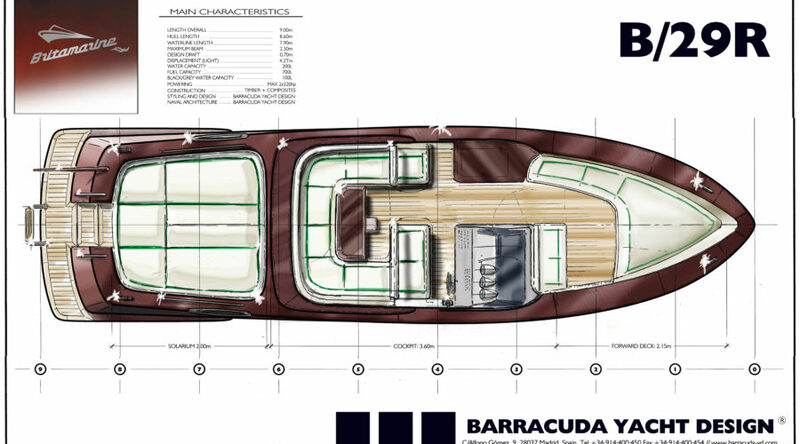 Both versions have excellent seagoing abilities and very strong hull. 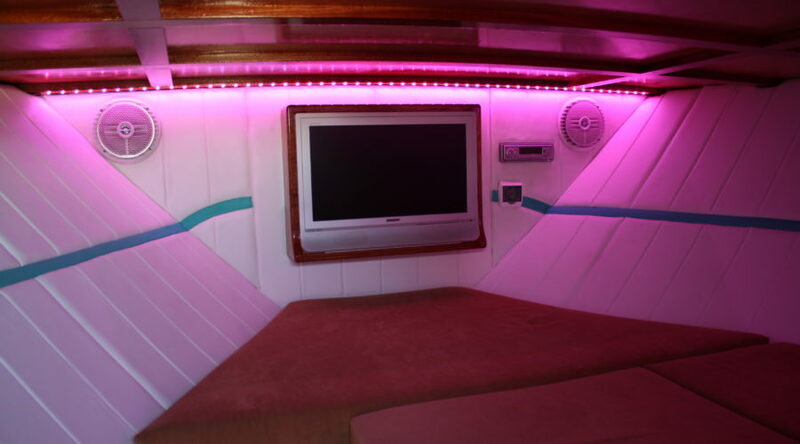 Boats are fitted with all luxury amenities. 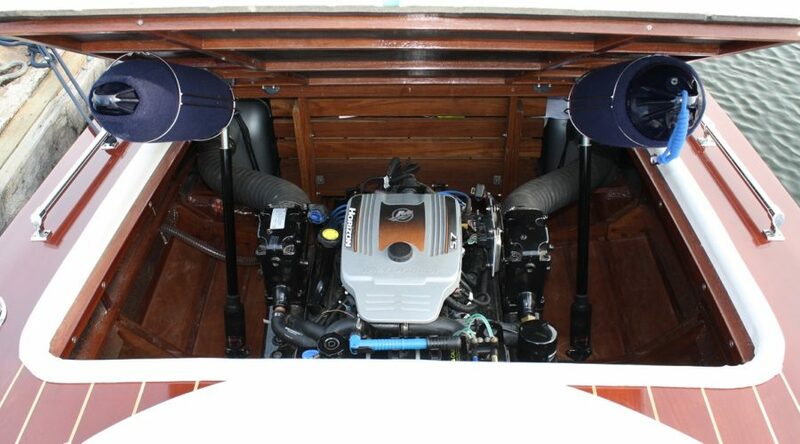 Boat is powered by 300 hp V8 inboard petrol engine with direct shaft drive. 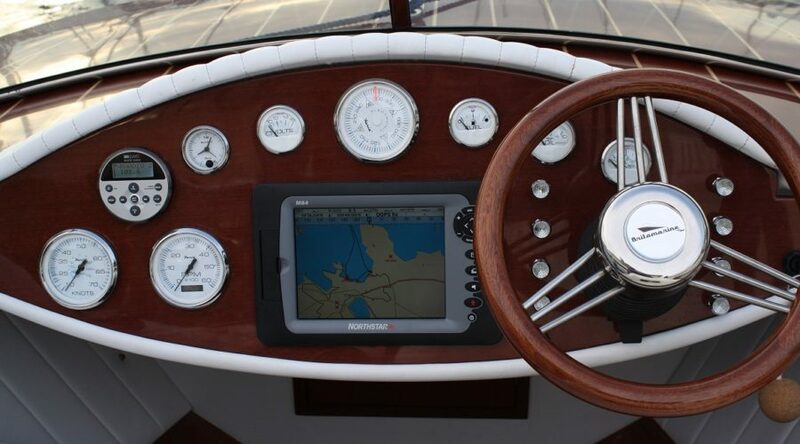 Options include GPS touch-screen chartplotter with DVD, rear looking camera, underwater lights and many more. 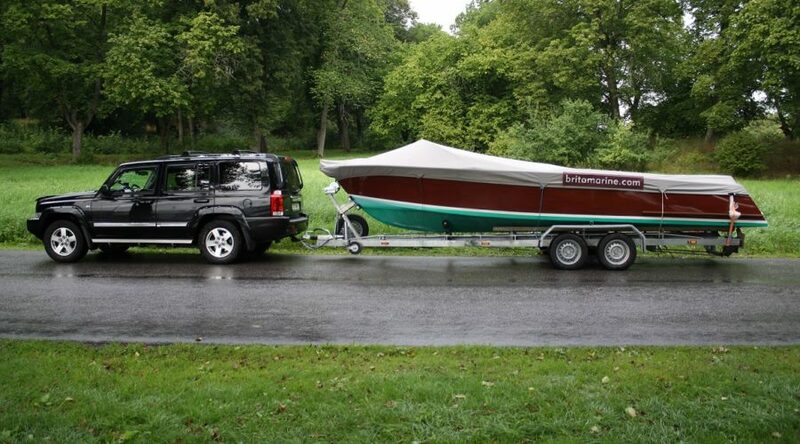 Ready to become a boat owner?